The dispensing sector is subject to a progressive miniaturization, as dosages have to be more economical and more precise. These requirements come increasingly from the medical technology, aerospace, electronics, photovoltaics, as well as automotive industries. Precise quantities and microdosing of fluids with different viscosity such as adhesives and solder pastes are of constantly increasing importance. 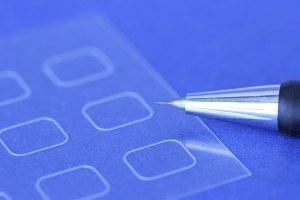 Various technologies aim to fulfill the growing customer demands, with its established know-how, especially preeflow® offers the optimal solution when it comes to accurate microdispensing. ViscoTec has been passionate about manufacturing dosing and dispensing components for semi- and fully automatic production lines and assembly processes for over 20 years. The customer is offered a precise, reliable, fast and sophisticated technology to perfection. The dosing dispenser of preeflow®, ViscoTec´s own brand, has become the global champion of volumetric metering systems and at the same time the driving force of the company. The preeflow® eco-PEN doses over a wide range of applications viscous, structure sensitive and solid containing fluids with outstanding quality. However, the performance of a dosing process is not only dependent on the technology, but also on the construction, specifically to the degree of quality assurance during production and before delivery. The inspection of all preeflow® components is subject to highest quality requirements and it is ViscoTecs philosophy that these requirements are observed at all times. The volumetric dosing precision of 1 % and repeatability of > 99 % can be on the one hand attributed to the exact, high-quality production of the eco-PEN components. On the other hand, this accurate performance is only achieved through the additional strict, internal quality standards for each element and system. Finally this very high quality standard is reflected directly in the dosages, which can be seen in image 2. This gives 100 % justice to the preeflow® principle: “smaller, more precise and more economical”. It is evident, that preeflow® has mastered microdispensing to perfection, resulting in consistent quality in fully automatic processes which thus means process reliability. The sophisticated rotor and stator production is one of the most important core competencies will be particularly protected. ViscoTec is very proud of its extremely high production quality manufacturing, which reflects in the dosing accuracy and in the precision of each device. In addition, fluctuations in quality are avoided straightaway. With regard to quality assurance and the testing of the raw materials of the elastomer for the stator, each batch that is delivered is controlled by specially defined parameters. This ensures that the basic raw materials always reach a consistent standard. The production of a stator is carried out to perfection thanks to miniscule tolerances. Elastomer elements can be manufactured with an accuracy of 100th of a millimeter. Each rotor stator system is subject to a standardized, constant, detailed examination, consisting of multiple processes. ViscoTec is always one step ahead of its market participants. A variety of devices form part of the quality assurance. For example a 100 % control of the stators dimensions is carried out with a measuring device based on the technology of computed tomography. 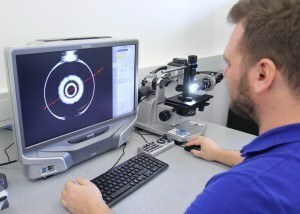 The chamber volume of each rotor stator system is inspected by standardized tests based on weight and image analysis. Image 4 shows an image evaluation, illustrating the droplet size of a certain volume under a microscope. The stators are measured and with the help of a computer program which calculates the volume, in order to maintain a defined, minimal deviation. In addition, outstanding quality is ensured by 100 % pressure and performance tests. The results of these performance tests are each measured with an ultra-high resolution microscope, as well as visually evaluated. Only systems that meet the set high tolerances are released. Before shipment to the customer, each system is checked twice. Every single component, from to the smallest screw to an entire development and production is of highest “Made in Germany” quality. The eco-PEN dispenser, including eco-DUO and the new eco-SPRAY, are fitted with the extremely chemical resistant elastomer VisChem as standard. Specially developed for ViscoTec, this rubber compound is characterized by its outstanding compatibility with aggressive material, together with optimal mechanical strength. All wetted parts of the elastomers in eco-PEN/eco-DUO are made of this protected mixture. 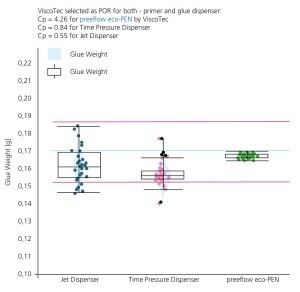 Strict controls have an effect in direct comparison to other dosing systems as highlighted as follows: independent studies show that the eco-PEN from preeflow® provides excellent dosing values compared to those of a jet dispenser and of a time-pressure system. 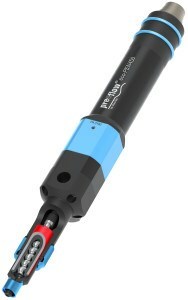 The preeflow® eco-PEN reached a process capability index value of cP = 4.26, whilst other systems were only capable of reaching a value of cP < 1,33. These results show that the eco-PEN dosed outstanding results within a very narrow distribution of the measurements in mg range. preeflow® works together with qualified distributors worldwide, many of whom have been working in cooperation with ViscoTec before preeflow® was founded in 2008. These business relationships are based on many years of mutual support in knowledge and experience. It is through these long-running partnerships that preeflow® customers benefit from a very high level of service, which means reliable, high quality and competent advice on a global level. Even in the most remoted places of the world 24/7 service & support could be ensured, resulting in a high degree of flexibility. All preeflow® products are available from stock. The continuous innovation of preeflow® never stops. The most up-to-date knowledge from universities is constantly being applied in the design of products for automated dispensing processes. 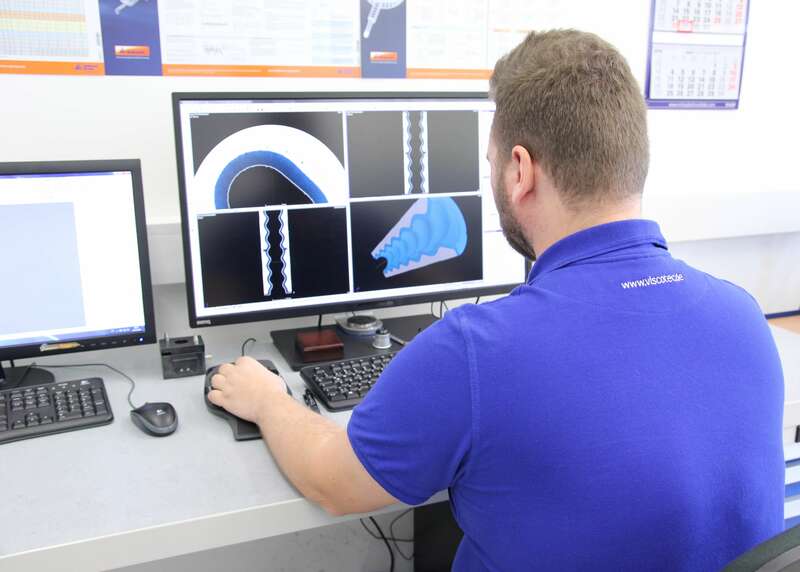 When considering quality assurance and maintaining customer satisfaction as top priority, developments in the Research & Development department are being integrated with quality management processes immediately. 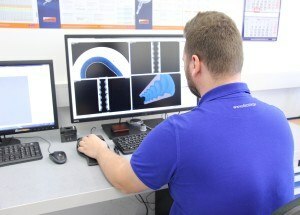 The fact that approximately 10.000 preeflow® systems exist in the marketplace, proves to the customer that planning and process reliability results in an undisputed success of the products. Preeflow® is THE leading brand and the flagship when it comes to the precise and volumetric dispensing of fluids.